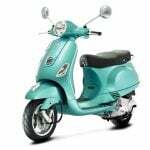 At almost $10,500, the Vespa 946 might be a pricey scooter, but boy is it good looking. 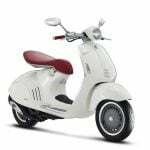 Well, leave it to Vespa to up the purdy level even more with the 946 Bellissima. 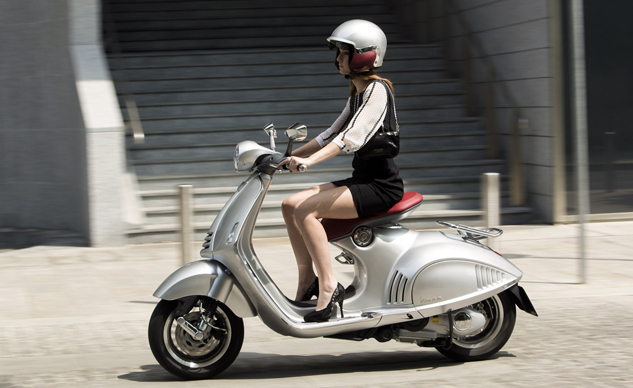 Limited to only 100 units, the Vespa 946 Bellissima offers exclusivity and distinction in unique Vespa fashion. 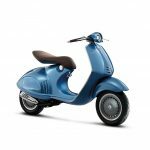 The 946 Bellissima is equipped with a new mono-seat to further accentuate the dynamic curvature of the steel body, an exclusive chrome plated rear rack, new paint finishing and rim colors, as well as new handlebar grip finishing. The 2014 946 Bellissima collection will be available in either Metallic Gray and Metallic Blue. As a gift, those select few 946 Bellissima purchasers will receive a passenger seat kit, made from the same precious materials to match the on-board mono-saddle to perfectly complement the Bellissima design and allow for the rare occasions when a passenger is rewarded with a ride on this precious machine. Tradition and innovation: Sheet steel body with aluminum parts: handlebar, saddle support, side panels, front mudguard, rear-mirror supports. Maximum safety: 220 mm dual-disk brake, two-channel ABS braking, ASR electronic traction control. Large 12” wheels, modular aluminum alloy wheel rims. 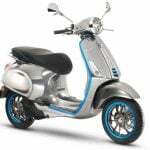 Eco-sustainability and fuel economy: 150 cc 3V engine, electronic injection, best-in-class fuel consumption and emissions. Technology and style: LED headlight with heat dissipation system, LED tail light and indicators, full LCD multifunction instrument panel. 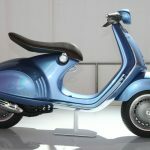 Find out more about the 946 Bellissima, other Vespa model offerings, and test ride opportunities at: VespaUSA.com, and the Vespa Americas Facebook page.